When do you think hot tubs, sometimes called spas, were invented? Within the last hundred years seem like a reasonable guess, if you consider the modern hot tub’s massaging water jets. If we were only talking about the water jets, you’d be correct. But the concept of using hot water for leisure and therapy is a lot older than that. The makers of hot tubs across the country, from the gunite spa builders in Virginia to the Bullfrog spa dealers in Utah, may not know it, but their products have a history that goes back centuries. All the way back to the days of Ancient Rome. Hydrotherapy, the concept of using water to treat illness and promote health, originated from Ancient Greece. Hippocrates, a major believer of hydrotherapy, theorized that imbalances of bodily fluids caused sickness. Ancient Greeks considered natural hot springs to be places of mystic power, though they also built private and public baths for their hydrotherapy. However, Ancient Romans were the ones who perfected the design of bath houses and elaborate heated tubs. Roman society embraced bathing not only for hygiene, but also for leisure. The Roman Empire funded the construction of massive baths for public use. Wealthy individuals, such as merchants or local government officials, also paid to build bath houses to increase their popularity. Citizens were charged admission fees according to their means, with richer citizens paying more and the lowest classes having free entrance. Roman custom expected that every citizen, from the richest to the laborers, would take regular baths. This meant that baths were places where the borders of social hierarchy were blurred. Businessmen and merchants held their meetings and made deals in the baths. This made them the second most important social gathering place in a Roman city. Only the city’s forum was more important and if the city had no forum, the baths took its place. The baths were a place to exercise, to relax, to clean, and to socialize. Gossip, news, and trade all flowed as freely as water inside the baths of Ancient Rome. Public baths varied in size, but the largest and best examples had several areas. The main entrance and waiting area of a bath was the atrium, which had an attached changing room. A bather would first take a dip in a pool or tub of cold water called the frigidarium. Citizens would often flock to this pool during the summer. A room called the tepidarium followed. This room either had a pool with tepid water, hence the name, or was a bare room slightly heated by steam. The tepidarium was important, because the massive change in temperature between the frigidarium and the final pool of a bath could cause cardiovascular problems. This final room was the caldarium, and it featured the Roman equivalent of a hot tub. The water in the caldarium was nearly scalding. They heated the water to this temperature to purge the body of its impurities through bathing and sweating. The caldarium is where the Romans cleansed themselves, and it was the most vital part of a bath. Other parts included the laconium, which was a sauna, and the gymnasium, a large open area for exercising before bathing. A lot of our modern conveniences have their roots in historic times. What seems trivial and pedestrian today used to be pinnacles of civilization. 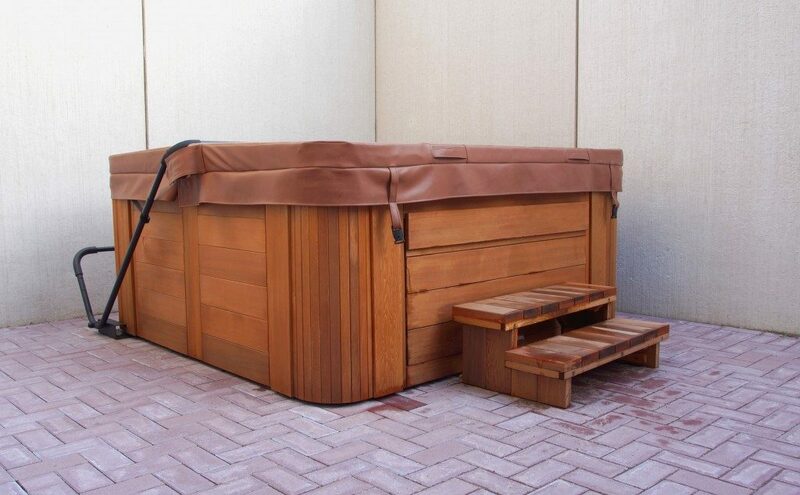 Appreciate the long history of the hot tub, and every warm soak will make you feel like a Roman Emperor.